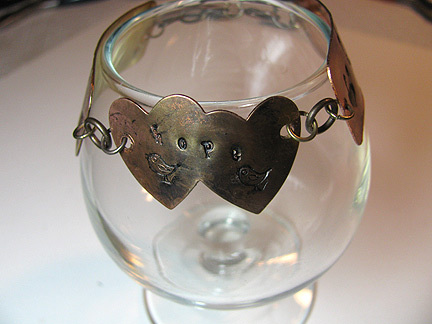 Some basic metal fabrication skills are great to have in order to be able to personalize your jewelry pieces. I don't work with a lot of heavy duty metal, although I've taken basic courses in torch soldering, cutting and forming. It's fun once in a while to break out of your mold though. Here are some simple projects that might get you started!